This is a photo-print of Greg's original painting. The print is 13x19 inch high quality glossy photo-paper. 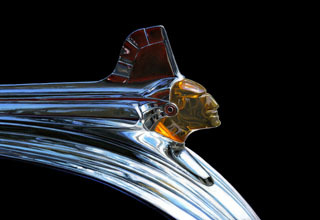 Hood ornament from a 1951 Pontiac Chief. Created by Greg Hildebrandt in August 2009.